Chinese New Year arrived quite early this year on Monday, January 23, 2012. I wasn’t prepared for it as I was still recovering from Oshogatsu (Japanese New Year’s) and dealing with life’s curve-balls. 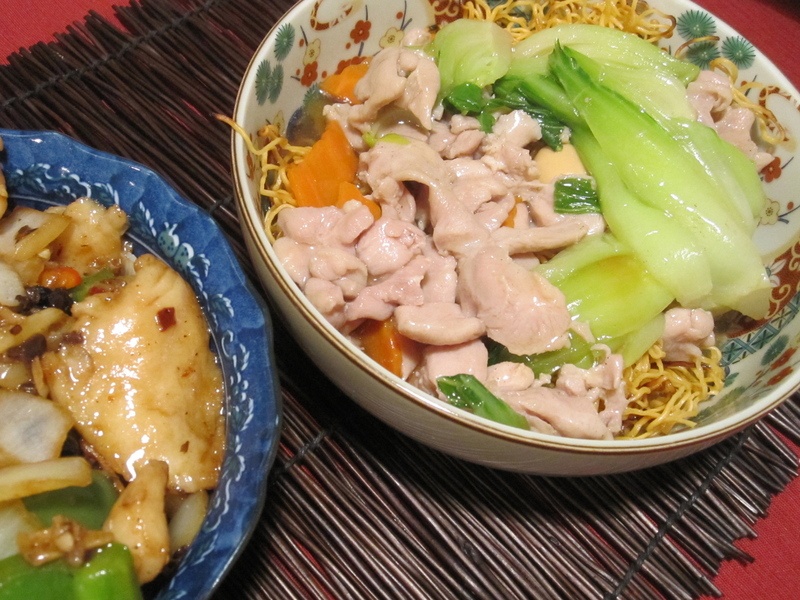 I debated whether I would cook this year or not; whether I would write a 2012 Chinese New Year’s post. Last year, I was highly motivated and made two dishes: Chinese – style egg rolls and Jai (or Buddha’s Delight), a traditional Chinese New Year dish. I asked my husband if he ate egg rolls growing-up, and he told me that he ate them occasionally at restaurants, but not at home. He said, “egg rolls are too much work”. Any food that requires wrapping up little bites of food in small individual flour or egg wrappers is WAY too labor intensive, and even more so if you have a lot of mouths to feed. In my opinion, gyoza and wontons (another post that’s been sitting on my “to do” list, but my taco wonton post is available here) also fall under this category. However, last year, I was ambitious. I decided I was going to make egg rolls, in addition to Jai. Crazy? Most definitely. Pictured above is my first attempt in 2011 at making Jai. I scoured the Internet for a good egg roll recipe and I narrowed it down to one shared by Jaden Hair of Steamy Kitchen, specifically her mother’s recipe (usually can’t go wrong with a recipe you got from your Mom). Side Bar: My blog, by food blogger standards, is really one of a home cook archiving recipes and family history for her kids – my (unstyled and often rushed and occasionally unfocused) pictures and the contents (rambling) of my blog prove it. There are TONS of what I call, professional food bloggers. These are bloggers with photos of food that are “styled”, in focus, and taken with high grade DSLR’s (I sometimes use my iPhone – haha), they generate ad revenue from privately secured companies or through food blog community advertisers, and some even have online stores within their blog in which you can purchase cooking equipment or related supplies. Quite impressive, I must say. I don’t fall under that category. :) But when I’m looking for an authentic, tried and tested recipe, I scour the Internet for professional foodies. Steamy Kitchen is one such blogger, recipe developer, cook book author and professional columnist. 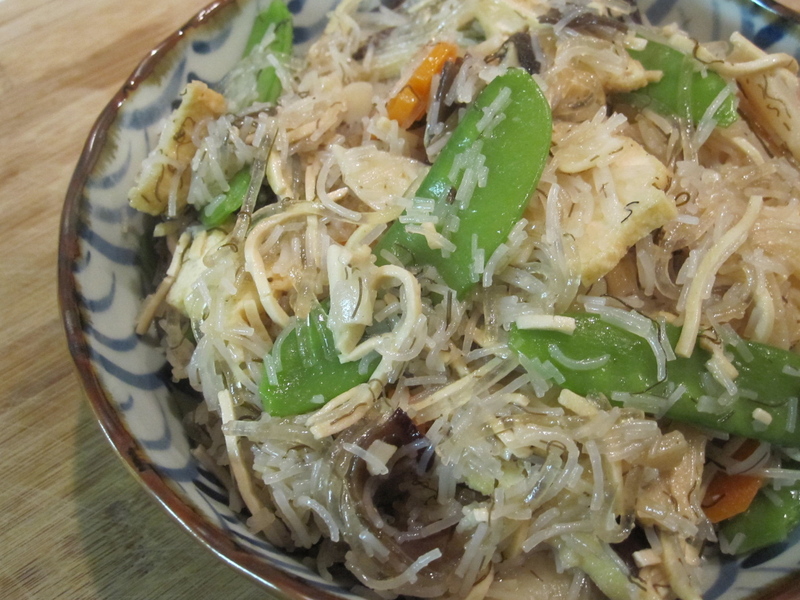 Below, I share with you Jaden’s mother’s recipe that I found on her blog. I admit the prep-work seemed labor intensive but perhaps this was because I’d never made Chinese egg rolls before (learning curve etc.). They were, however, pretty darn tasty. Although I only made them the one time last year, I would certainly make them again and I would definitely recommend them. Unfortunately, my favorite egg rolls are still those that we order at a local Vietnamese restaurant, and perhaps it’s unfair to compare Chinese and Vietnamese egg rolls (who am I to know the difference as a Japanese-American girl who grew-up with Japanese style egg rolls – yet another post for the future), but those crispy little egg rolls from our local Vietnamese restaurant are nonetheless still my favorite. And in all honesty, it just might be my favorite because I’d much rather make a two minute phone call to place an order for six egg rolls and take 10 minutes to go pick them up, versus making them myself at home. Does that make me horribly lazy? Maybe. Maybe not. 1. Make filling. 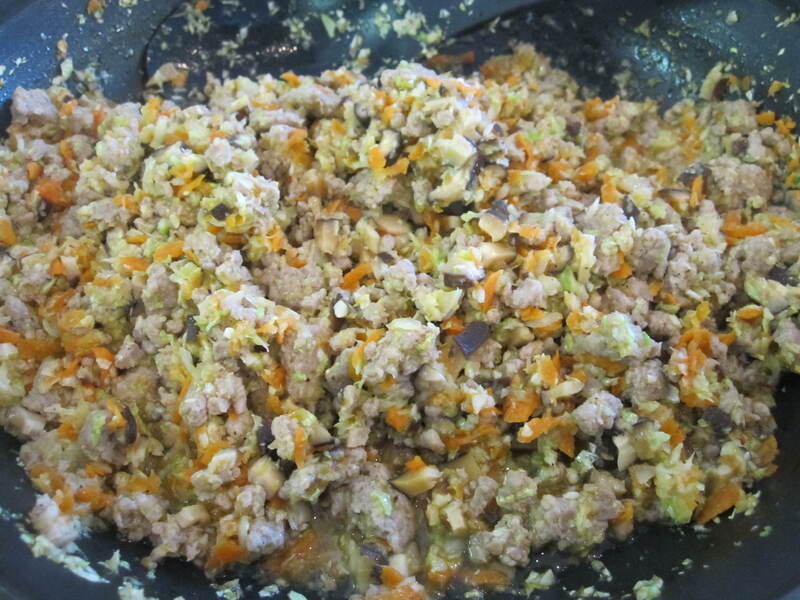 Combine all ingredients for meat filling. Marinate 10 minutes and set aside. 2. 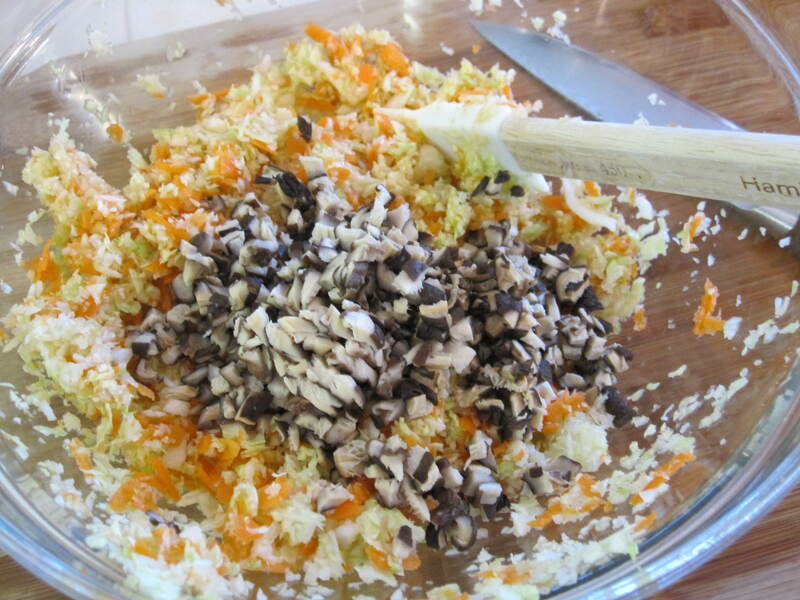 Meanwhile, make vegetable filling: shred cabbage and carrots using a food processor (or by hand). Slice shiitake mushrooms into thin strips or dice in pulse mode in food processor (I chose the latter). 3. In large pan (or wok), heat oil and cook pork until browned (2-3 minutes). Push pork to one side of pan, add garlic, cabbage, carrots, mushrooms, and ginger. Stir-fry (1 minute) until vegetables are tender. 4. Add Chinese rice wine, soy sauce, sugar, salt, sesame oil and black pepper to the pan. Stir fry for another minute. Scoop out the filling onto a large baking pan, spread it out, and allow this to cool. Jaden recommends propping up the pan to allow all the juices to accumulate at one end to be discarded. Allow it to cool 15 minutes. 5. Use paper towels to gently blot the filling to remove excess juice and/or oils. 6. 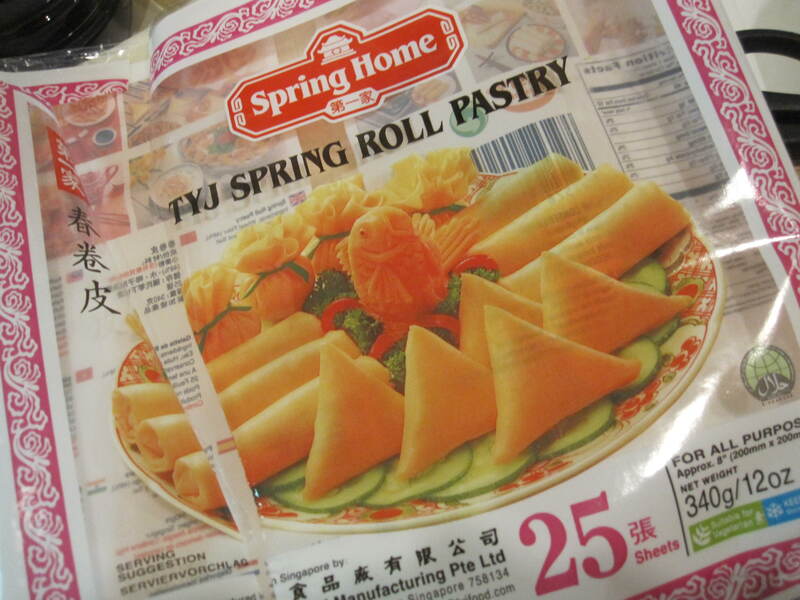 While assembling the egg rolls, keep the wrappers covered with plastic wrap to prevent them from drying out. (Do the same for egg rolls you’ve already assembled.) Use only 1 heaping tablespoon of filling per wrapper. 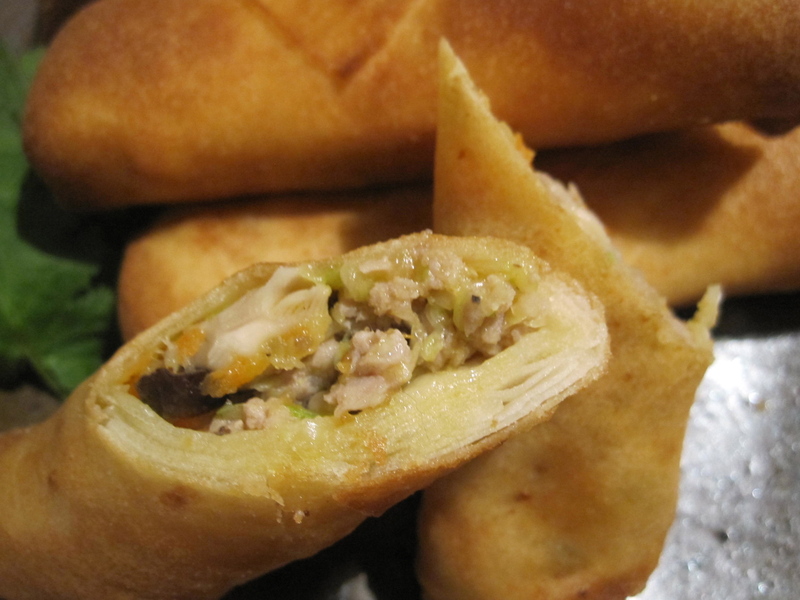 Don’t overstuff the wrappers because these egg rolls are meant to be long and skinny. 7. 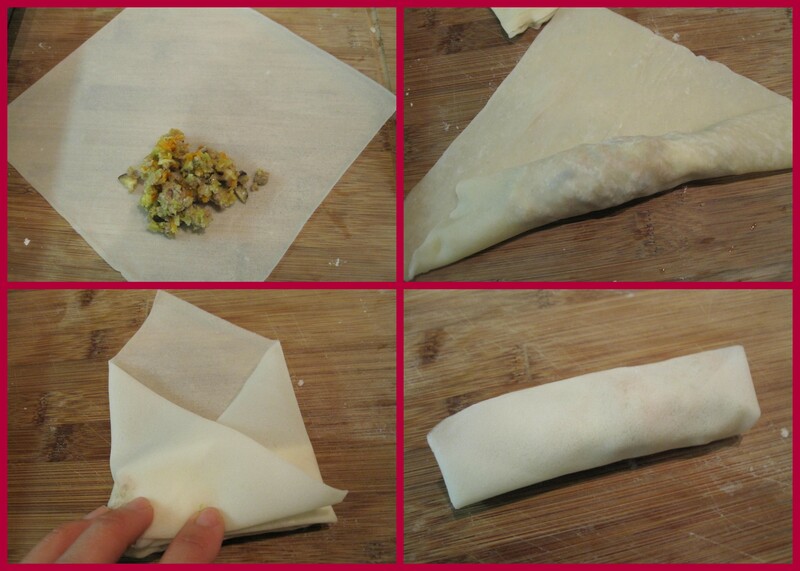 AGAIN, keep all unfired egg rolls tightly covered under plastic wrap so that they do not dry out. If stacking egg rolls, Jaden recommends using parchment paper to separate each stack of egg rolls to prevent them from sticking. Refrigerate up to 4 hours until ready to fry or freeze. 8. Fill pot with 2 inches of cooking oil. Heat the oil to 350°F. Gently place the egg rolls (4 to 6 at a time) into the oil, turn occasionally. Fry for about 1 1/2 minutes until golden. Place on wire rack to drain and cool. For frozen egg rolls, do not defrost. Add them to oil and cook for about 3 minutes. ∞ We read “The Runaway Wok”; A Chinese New Year Tale. ∞ We taught her, “Happy Chinese New Year” in English. 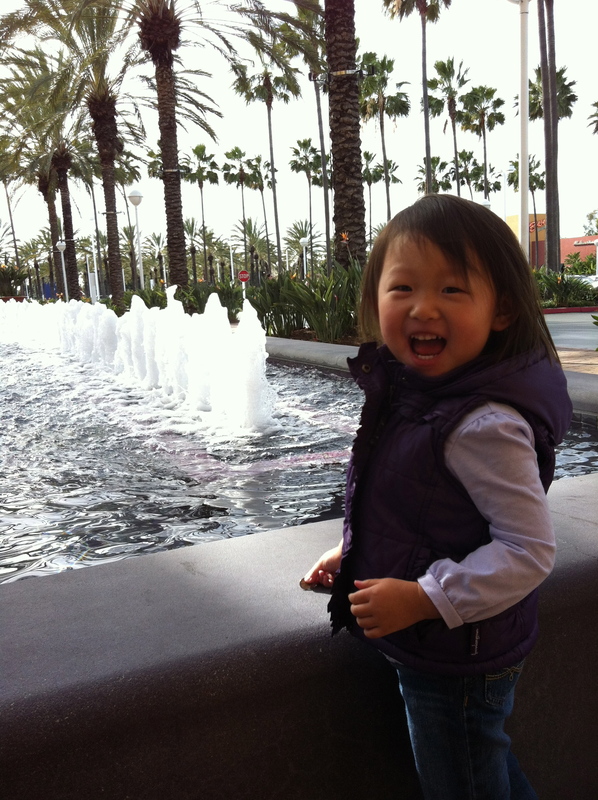 ∞ We taught her, “Gung Hay Fat Choi” in Cantonese. ∞ I suggested that Bebe E wear the color red on Chinese New Year because it symbolizes happiness and all good things celebratory – but she didn’t want to. ∞ I asked her if she would like to make lanterns like the ones that Ho-Ho and Tolee (that would be the monkey and koala, respectively, in her Ni Hao Kai Lan book) hung in the story. 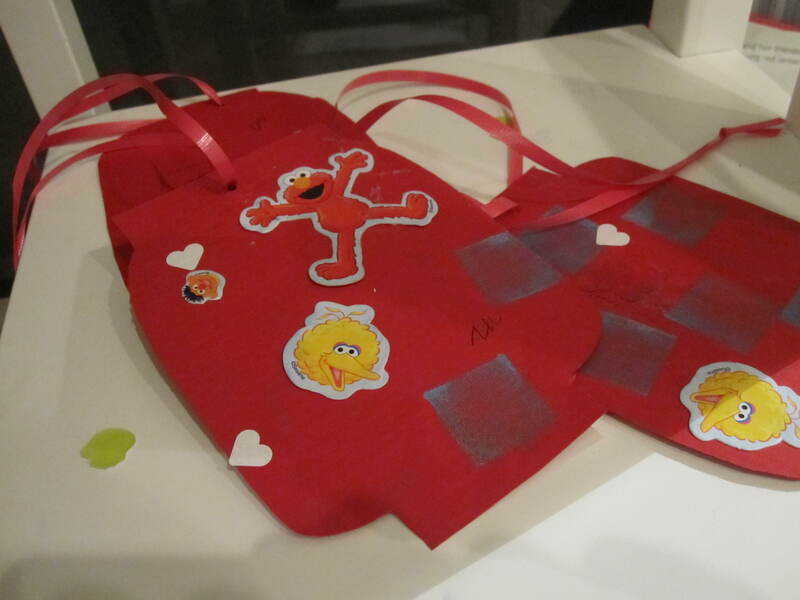 She said, “Yes, let’s do dat!” So I cut out lanterns from red paper and let her decorate them by stamping, gluing little Elmo, Big Bird, Bert and Ernie cut-outs, and coloring on them. I punched holes at the top and strung pink ribbon through them so that they would hang like little lanterns. She had a blast. So did I. Then we hung them up, just like Ho-Ho and Tolee! ∞ Then I asked her if she would like to go buy Chinese take-out with me so that we could eat a Chinese New Year feast, just like Kai-lan and her friends, and again she said, “OK! Yes, let’s do dat Mommy!” But it was raining, and we just got over our colds (it took us three weeks to get better) so Bebe Dada didn’t want us out in the cold and convinced us to stay home while he picked-up our food. Bebe E was disappointed at first, but quickly took to making Chinese New Year lanterns again and forgot about our errand. ∞ We ate pan-fried noodles with chicken, fish with black bean sauce, and frozen mini-Korean pork and vegetable dumplings that I happened to have in the freezer (ok, this last item doesn’t quite fit but they were dumplings nonetheless). It was a modest dinner for the two-and-a-half of us, but we ended-up with leftovers anyway. Good thing we’re not getting together with our family for Chinese New Year just yet, so that Bebe E can get in the mood for Chinese food again… and get over tacos… or que-ss-dee-ahs. I mentioned to Bebe E that 2012 is the Year of the Dragon. She looked at me and gave me a blank look. I’m not well-versed on the Chinese zodiac either, and my knowledge is primarily limited to the fact that I know what my sign is. So I thought I’d be a nerd again and do a little research on the Year of the Dragon. It turns out, the zodiac begins with the year of the rat and is based on a 12-year cycle. Each zodiac sign has specific characteristics and it is believed that one takes on the characteristics of the sign under which he/she was born, much in the same way that astrology signs are often thought to define one’s personality. ♣ Characteristics: Magnanimous, stately, vigorous, strong, self-assured, proud, noble, direct, dignified, eccentric, intellectual, fiery, passionate, decisive, pioneering, artistic, generous, and loyal. Can be tactless, arrogant, imperious, tyrannical, demanding, intolerant, dogmatic, violent, impetuous, and brash. ♣ Personality traits: Stubborn, energetic, gregarious, trust-worthy, and sensitive. ♣ Compatible signs: Monkeys, Rats. ♣ Avoid: Those born in Year of the Dog. ♣ Good career choices: Priest, Artist, Politician. This entry was posted in Appetizers, Bebe E's Favorites, Chinese Celebrations, Chinese Cuisine Favorites, Meat & Poultry, Pork, Special Occasions and tagged Chinese egg rolls, Chinese New Year, Chinese zodiac, egg roll filling ideas, jai, pork, year of the dragon by Judy | Bebe Love Okazu. Bookmark the permalink. Bebe E is so adorable. Growing up so fast!!! Your Oshogatsu spread is amazing. WOw. 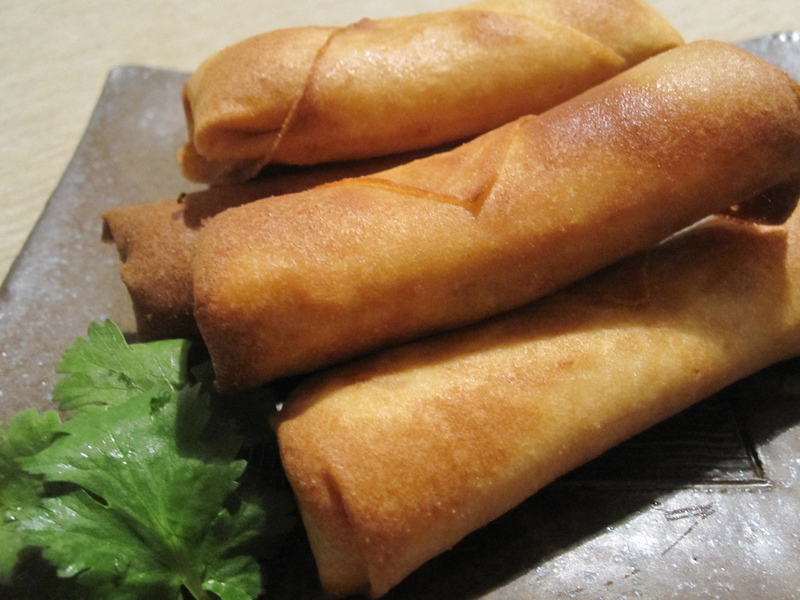 And these egg rolls look heavenly. Oh my gosh, I can’t even thing of doing something that complicated at the moment! I love egg rolls. It will be something I will make in the future. Still suffering from a minor thumb injury, so my cooking and baking is pretty basic at the moment! We will be in CA soon to visit my mom — looking forward to experiencing your weather soon — though February here has been the warmest in recent memory! Thanks Alisha! Hope all is well with you!